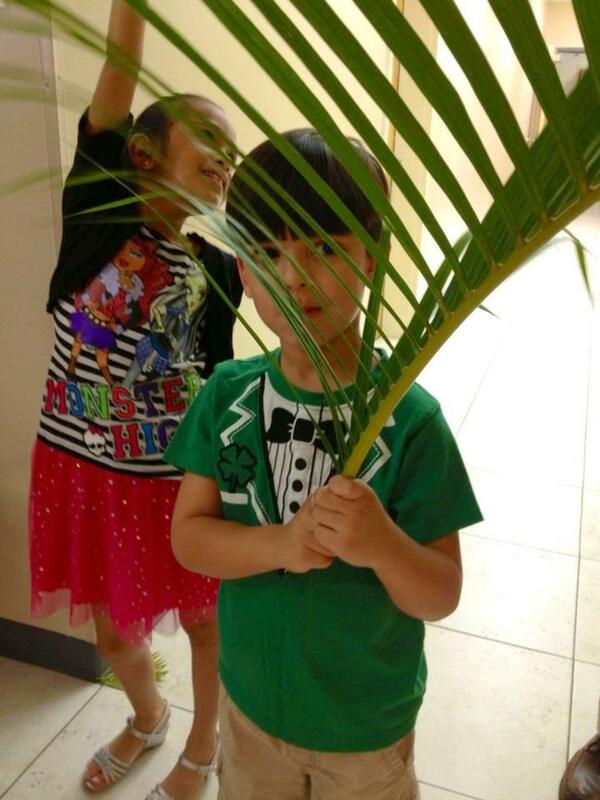 On Palm Sunday, Jesus entered through the city gates of Jerusalem riding on a donkey. On that day he fulfilled the prophesy in Zechariah 9:9. 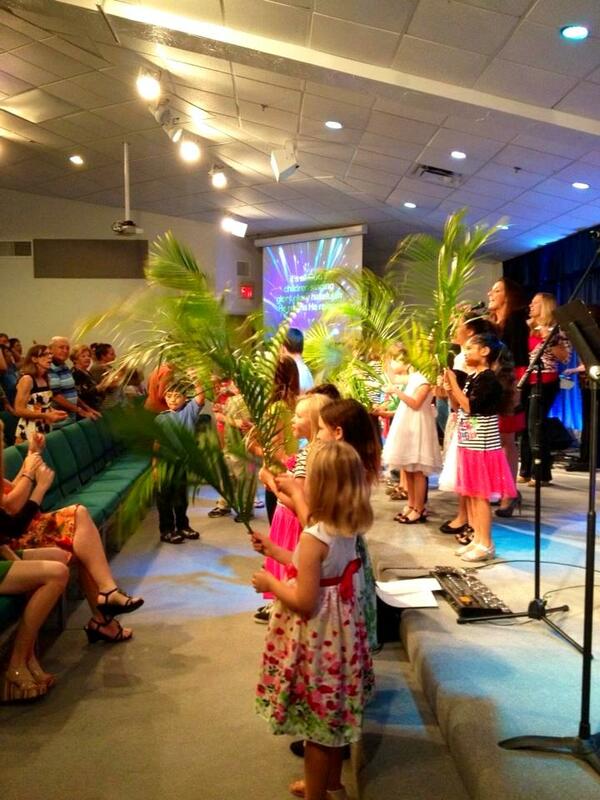 Each year on Palm Sunday the kids get to participate in the worship service with a parade of palms. They bring to life the memory of that special day when Jesus rode into town. We can remember that on that day, he rode into town for us too. I want to thank Kyle and Nicole for taking the time to cut the palm branches on Saturday afternoon from a bush out back in very windy weather! 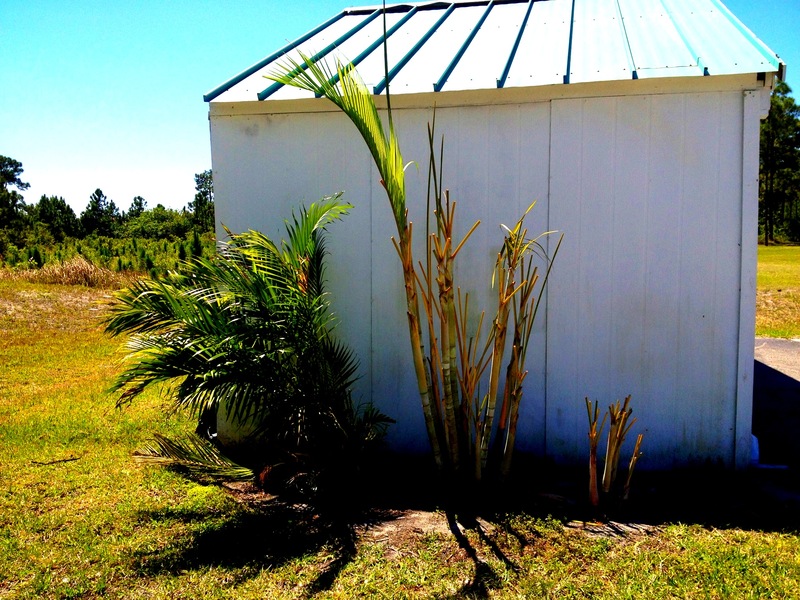 We are fortunate to live in Florida where we have an abundance of palms to pick from. Andrew F. also helped hand out palms to the kids that morning and Eric T. helped clean a big pile of palms up at the end of the day. I also want to thank our praise team, especially vocalists Jen, Nicole, and Rich, for sharing the stage so graciously. I commend you for still remembering the lyrics from within the center of the palm pandemonium. Handing out palms to the folks on the way out. Thanks also to Marissa and Harley for helping out at the end of the service, distributing palms for our church family to take home. (Got Fran in the purple dress in the background there.) Hi Fran! Many thanks to you as well. You’re the glue that keeps us all put together around here. 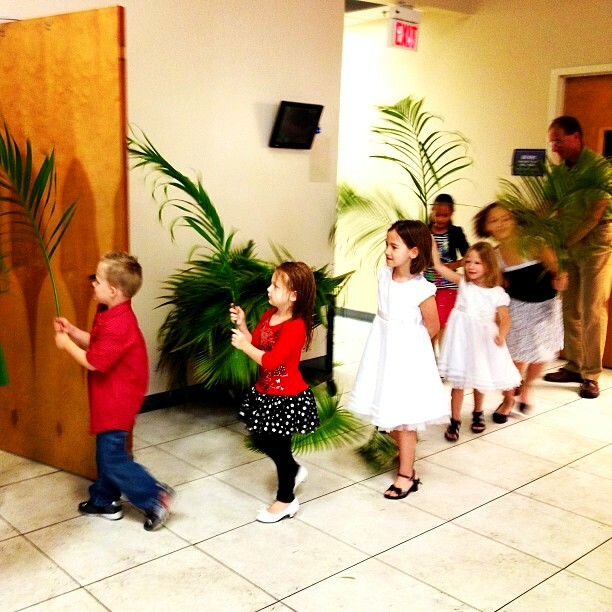 Thank you all for going the extra mile to make Palm Sunday meaningful.